Perfectly appointed for casting or cruising. Catch and release and swim and float. The Reata® by Ranger® 220F fills your weekend with nothing and your 12-gallon aerated livewells with keepers. 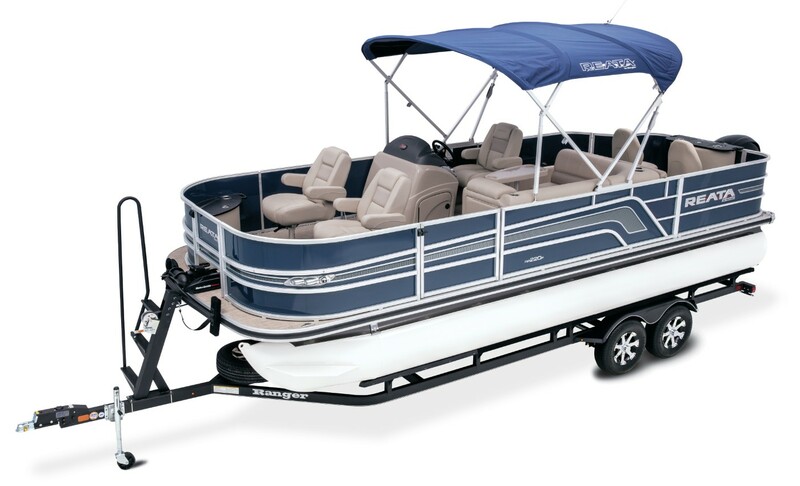 Store all of your gear in a 7’ 6” starboard, lockable rod box with a built-in organizer. Climb in and out of the water with ease with the four-step, telescoping boarding ladder. Just remember, eventually you’ll have to bring it back to the dock. Pontoon log length: 22 ft. 3 in. Package height: 9 ft. 2 in. 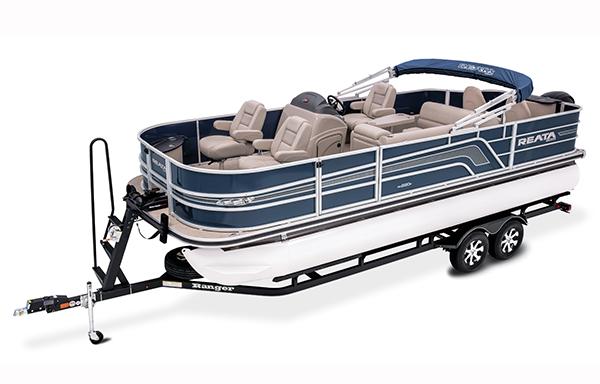 Towing length: 32 ft. 0 in. Storage length: 31 ft. 0 in.